A regional daily has launched a new Twitter account dedicated to news about a soap opera which is set on its patch. The account also promises “spoilers, gossip and fan chat” from the long-running ITV programme. The MEN has previous links to Coronation Street, and has occasionally produced mock editions of the programme’s fictional ‘Weatherfield Gazette’ newspaper to mark special occasions. 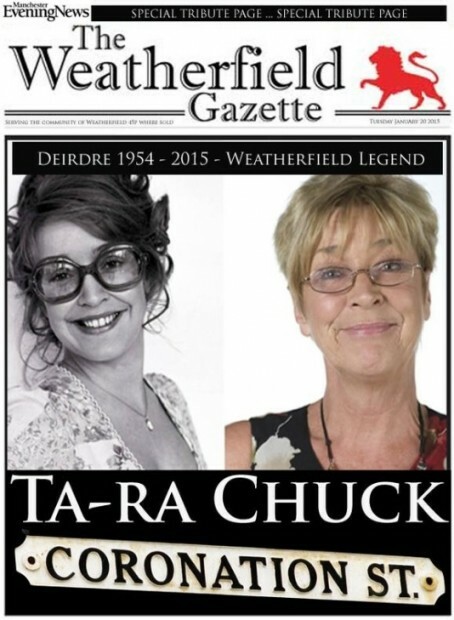 One such mock-up was produced in tribute to actress Anne Kirkbride, who played Deirdre Barlow in the soap for more than 40 years before her death in 2015. Five years earlier, the MEN published a 32-page souvenir Gazette to mark the show’s 50th anniversary with the backing of ITV. HTFP has approached the MEN for a comment about the new Twitter account.